On July 22, 2018, India's no. 2 ranked player on the ATP circuit, Ramkumar Ramanathan took on USA's Steve Johnson in the final of the Hall of Fame Newport ATP 250 event in a bid to become the first Indian man in 20 years to win an ATP title. Ramanathan fought hard but fell short, losing in 3 hard fought sets - 5-7, 6-3, 2-6. He had an incredible week, defeating higher-ranked opponents and climbing 46 ranking places himself, thus reaching his career-best ranking of 115. However, the title drought for the Indians in the singles circuit remains. While they continue to enjoy a lot of success in doubles, positive results in the singles circuit continue to elude them. There have been positive signs over the past couple of years with the likes of Yuki Bhambri and Prajnesh Gunneswaran performing well, along with Ramkumar. They will look to break that barrier and come home with a title soon enough. In this article, we take a look at those Indians who have won ATP/WTA titles in their career. 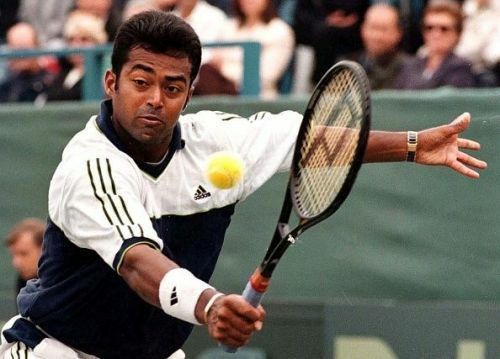 If Ramkumar had defeated Johnson, he would have become the second Indian to have won a title in Newport, the first being Leander Paes. Paes, who is undoubtedly India's best and one of the world's best doubles player, started off his career playing a lot of singles. He achieved quite a lot of success, including winning the bronze medal at the 1996 Olympics in Atlanta. A couple of years later, he lifted his first ATP title at Newport, defeating South Africa's Neville Godwin, 6–3, 6–2 in the final. A few months later, he went on to defeat Pete Sampras as well in New Haven, however, he failed to win the title there. He also went on to defeat a young Roger Federer in the late 1990s. However, after 1998, he began to focus solely on doubles, partnering Mahesh Bhupathi - a combination which went on to achieve a lot of success.